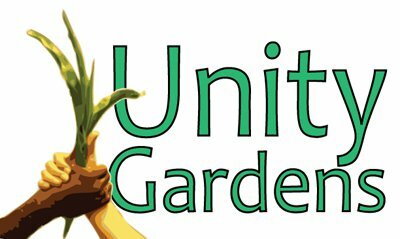 With Gardening still in full swing we are thinking of 2012 and how to support the Unity Gardens another year . So while we are still out gardening our focus for the next 2 weeks will be towards this fall fundraiser . So please look at this blog and see our many supporters , please let them know you support them supporting us . Many of the logos you can click on and go to thier facebook page and make a comment . Our upcoming Harvest Event celebration local food- local chefs is really gaining community enthusiasm! We have an exciting array of chefs already involved with more on the way. With tickets on sale now at our Unity Gardens blog you can almost taste the fun! Highlighting Chefs and tapas from Thyme of Grace, Fiddler's Hearth, UpTown Kitchen & The Mark, Sangrias and Agave Lounge, Joel Barrett co-founder of Green Drinks, and more! Silent auction items and sponsorships are still being offered, reminding me of how benevolent this community really is! Just like the way the Unity Gardens have been growing, this event is taking on an energy all its own. We appreciate the shared dedication to growing our community in Unity! We have tickets on sale now for $25.00. You may purchase them through our Website (see the left upper corner), or via snail mail (PO Box 10022 South Bend IN 46680) or by calling 574 315-4361.